Group Exercise – Silverlake "The Family Place"
A high intensity class taught in the big pool. 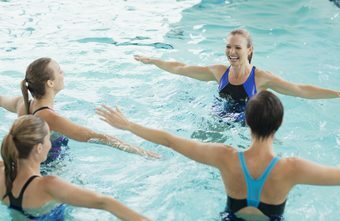 This circuit style class combines aqua spinning, aqua jogging and fin swimming creating a fun and challenging aqua fitness triage!! *Aqua shoes required. A medium to high intensity class taught in the big pool. ** Additional fee and registration is required. 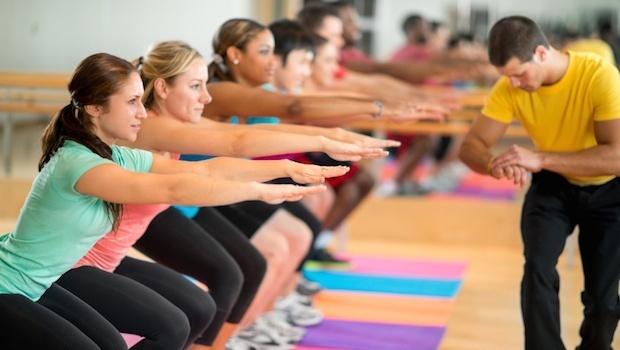 First time registrants receive a complimentary Boga class! Must register at least one hour prior to class. Get ready to FLOAT YOUR FITNESS! 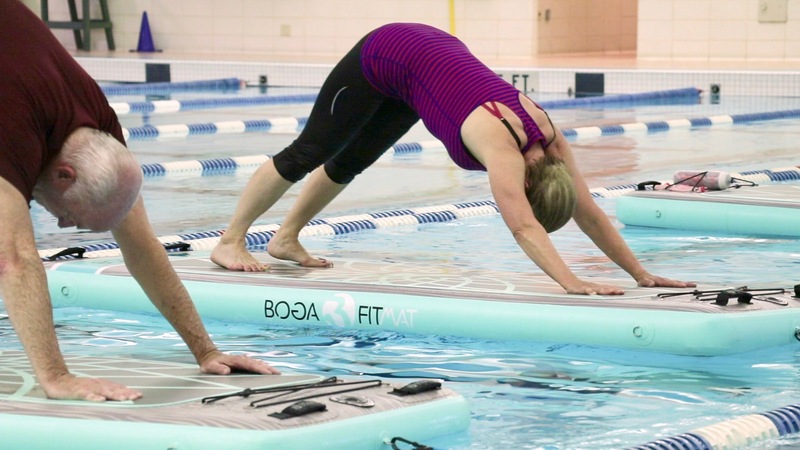 Boga floating fit mats make even the most basic exercises more effective and challenging. 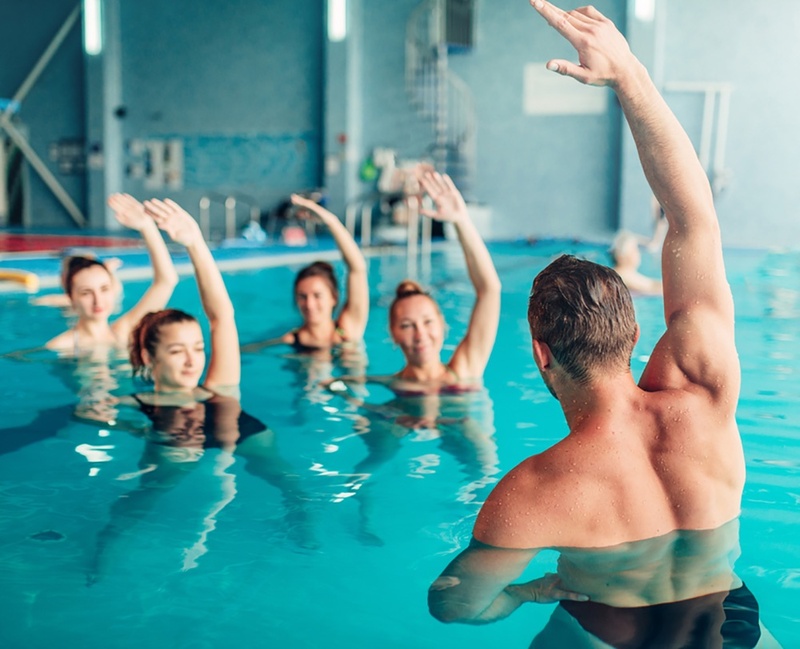 This exciting and unique aqua class increases core strength and overall fitness in a whole new way! For more of a challenge, try our BOGA BOOTCAMP class! This medium intensity class is taught in the shallow end of the big pool. A great lower body workout which focuses on the rear, the core and legs. Fabulous! A medium to high intensity class taught in the shallow end of the big pool. Work all major muscle groups and core in between “bursts” of cardio. A total body workout! 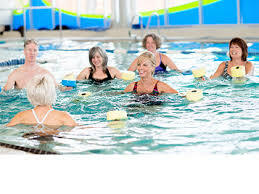 This medium to high intensity class is taught in the shallow end of the big pool, Aqua JAMZ incorporates dance moves into a class that is so much fun you forget you are working out. It’s like a “party in the pool”! This high intensity cardio class is taught in the big pool’s shallow end. An advanced workout which combines intense cardio with muscle strengthening. A medium intensity class is taught in the deep end of the big pool. All the benefits of deep water exercise with a “splash” of dance! Have fun in the deep while you let the music motivate and move you! A medium intensity class taught in the big pool’s deep end. A flotation belt is encouraged for proper body alignment. 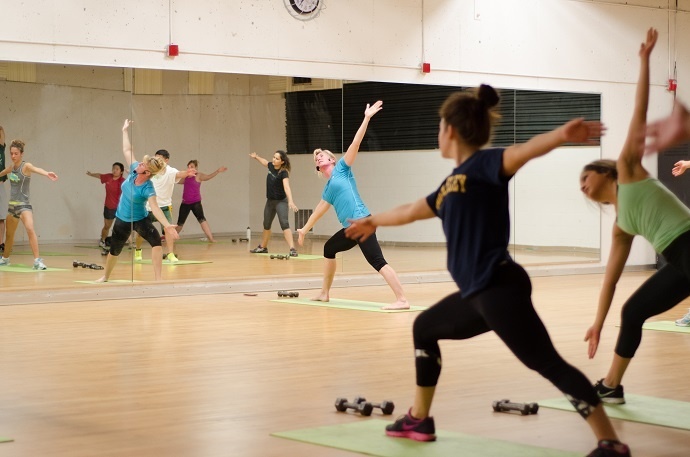 A high energy, non impact class that focuses on intense cardio and muscle toning. 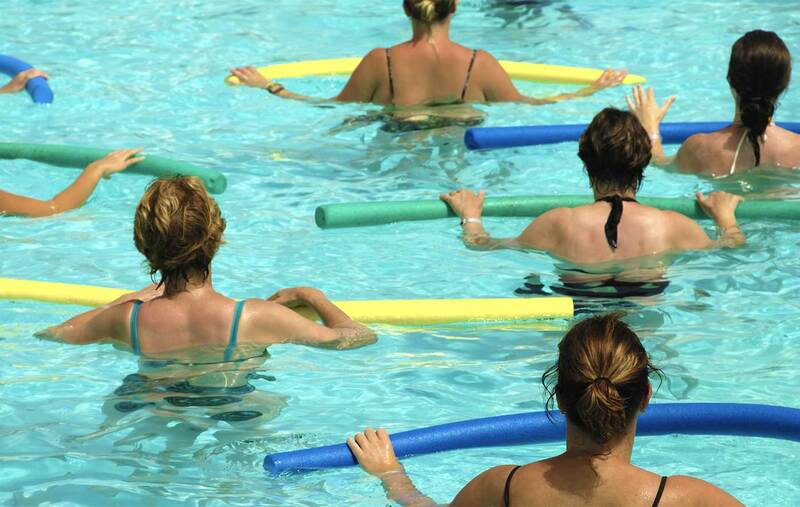 This relaxing yoga class is taught in the warm water pool. Basic yoga poses to help improve balance, strength and flexibility. 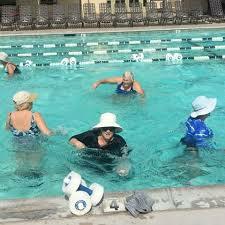 This low intensity class is taught in the warm water pool. The objective of this workout is to improve core strength, balance and flexibility with controlled breathing and movement. 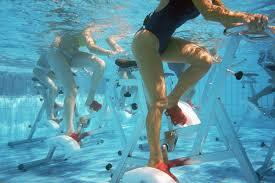 An effective low intensity class taught in the warm water pool. This workout is designed to help increase range of motion, increase joint mobility and strengthen muscles. This is a great class for people recovering from surgery and arthritis management. Resistance, Interval, Power, Plyometrics, Endurance & Diet. An awesome, athletic based, full body workout set to great music. A Pilates and Yoga fusion based workout which improves strength and flexibility. A high energy, low impact challenging workout! (B.Y.O. yoga mat). 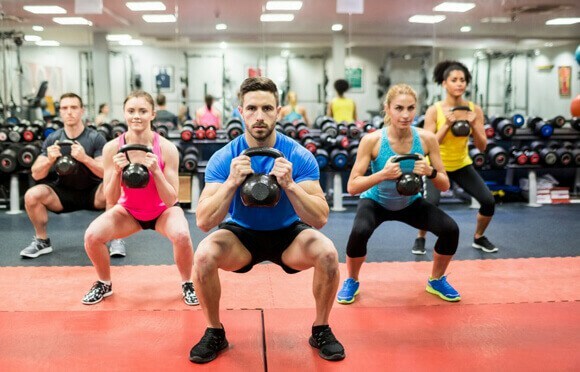 An interval training system broken down into 8 rounds of 4 minute segments consisting of 20 seconds of extreme intensity followed by a 10 second rest. YOU WILL feel it in every muscle! While using a large Thera Ball, this class focuses on balance, strength and core conditioning. A complete full body workout! Get ready for a fat blasting, ab defining cardio interval workout using music and moves that keep you motivated! Inspired by martial arts and kick boxing. A fun, high energy, dance-based workout using Top 40 and club mix music to keep you motivated and moving! Come prepared to have fun! 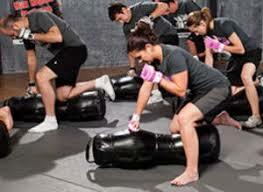 A new and exciting mixed martial arts inspired class designed to BLAST belly fat and totally re-define the body! Enjoy the benefits of Pilates without having to lower to the floor. This unique method utilizes a chair and a Thera ball to achieve results. 30 minutes of basic cardio conditioning, (instructors choice), followed with our famous Kick AZZ/Lifting strength training! 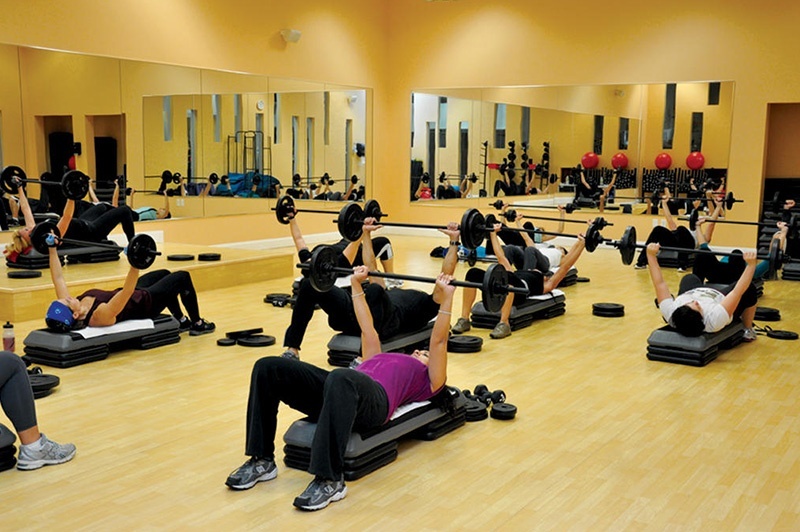 A functional “CT” (cross training) class. Similar to a step class with a variety of strength training moves that will benefit your core body as well. (Body sculpting+ abdominals) with serious core strengthening. Work all major muscle groups while focusing on form and core strength. Combine the principles of yoga, pilates and ballet for long, lean and defined muscles.